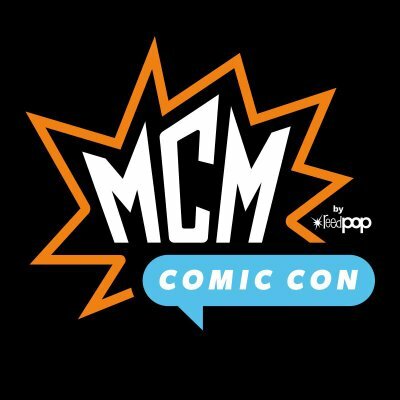 MCM Comic Con delivers the best in pop culture events to passionate fans across the UK. As our Head of Content, you will have ultimate responsibility for bringing together the best of pop culture for our fans to enjoy at the UK’s largest comic con and memorabilia events. Working in close partnership with our event, marketing, community, talent and sales teams, you will ensure our MCM shows are not only packed full of the right kinds of content, but that it is booked, budgeted, announced and coordinated effectively as we put our shows together. The successful candidate will be able to demonstrate a track record of taking a leadership role in delivering relevant pop culture experiences, ideally in an event context. Most of all you should be able to wield an impressive contact book that makes the most of emerging trends in the pop culture world, and deliver with enough business savvy to ensure you meet the deadlines, budgets and goals of our shows. This role is perfect for someone immersed in the pop culture industry, who can identify talent and great content that will resonate with our audiences, and has demonstrated an ability to define and deliver their vision while keeping in mind logistical and commercial realities while exceeding what our dedicated fans expect from an MCM event. For each MCM show, oversee the full schedule of content, panels, appearances, feature areas and more, while keeping track of the logistics required and ensuring delivery on budget. Manage the overall content budget, which includes everything from special guest costs to travel costs and all content related expenses. Collaborate with our marketing team on communications for all special guests, while overseeing the scheduling of their appearances, obtaining their assets and securing their signed agreements. Proactively building new partnerships with media partners and others for access to talent and guests or collaborations that support the growth and success of future shows. Use knowledge of our sector to anticipate new areas of interest within popular culture and assess if these create opportunities for future growth of the events. Ensure the team meet deadlines for announcements, printed materials, signage and assets. Innovate, always thinking of what will authentically appeal to our audience while also delivering on the goals and budgets of our shows. Work in partnership with our events, marketing, talent and sales teams internally, as well as with our external partners and agencies, both domestically and internationally. Expert knowledge of past, current and potential future areas of interest in popular culture. Demonstrable track record of delivering any pop culture content successfully in a relevant role. Relationship management, customer service, attention to detail, tenacity and follow up are vital. Must have a strong capacity for managing a multidisciplinary team with a wide range of skills and responsibilities, while working independently and collaboratively across teams. Extensive knowledge of the pop culture industry itself and relevant business contacts. Empathetic and positive as a leader while caring about our teams, exhibitors and fans. Collaborative and resourceful, willing to find creative solutions to achieve your goals. Able to adjust within a fast-paced work environment with unpredictable deadlines and schedules. Degree in a relevant field or equivalent business training or experience. Professional knowledge of Microsoft Excel, Word, and PowerPoint. Knowledge of Salesforce or other CRM system. Experience of sponsorship and/or media sales specifically in entertainment or sports events. This role is based at our office in central Brighton, UK, alongside our friends at Gamer Network, the team that brought you EGX, Eurogamer and a whole range of cool websites from across videogames. They’re also part of our ReedPOP family, so if you like working with people who love every aspect of pop culture, we’ve got you covered. If this role sounds interesting and you have what we’re looking for, then we’d love to hear from you. Please email us at ‘careers@mcmexpo.net’ with your CV and an optional cover letter - Good luck! ReedPOP is the largest producer of pop culture events in the world. We build fun on a daily basis and deliver once-in-a-lifetime experiences for fans around the globe. ReedPOP is built upon a "fan first" philosophy, a culture of creativity and an office environment that is open and collaborative. We are a kind-hearted, hard-working, fun-loving group of folks who never take ourselves too seriously. Ask us what the best parts about working at ReedPOP are and we’ll quickly answer “our people and the fans.” We are a boutique team with all the resources of a large global organization which provides us with the freedom to build fun new businesses and connect fans through the passions they share. Our customers include Marvel, DC Entertainment, Lucasfilm, Funko, DIRECTV, Disney, Nintendo, Image Comics, Weta Workshop, Chevrolet, Graham Crackers Comics, Valiant Entertainment and millions of fans from all over the planet. We are constantly hard at work, making things happen and always trying to deliver more than what is expected of us. Please visit http://www.reedpop.com to find out more. MCM Expo is the UK’s largest pop culture convention organisers. MCM events provide unique access and amazing personal experiences for consumers. We help grow every participating industry by providing direct access to passionate and engaged fans. Please visit https://www.mcmcentral.net to find out more. ReedPOP wants individuals who demonstrate initiative, an inquisitive mind, an entrepreneurial spirit, a creative vision, an obsession with making things better, a passion for solving puzzles, the humility to laugh at yourself, the willingness to ask for help when you're over your head (you will be), the ability to deal (healthily) with multiple projects, tight deadlines and demanding partners. We work how we live and we apply our passion for pop culture to every aspect of what we do. We want someone who can't help but wake up at 3am thinking about improving the experience for our fans. Our culture is creative, fun, supportive, open without exception, and as with all positions at ReedPOP, the focus is on fans first, regardless of if they're in a three-piece suit or walking around with a four-foot sword made out of cardboard. At ReedPOP, we’ve found that positive, genuine, good-hearted people make great co-workers, so that’s the type of person we hire. Bring us your creativity, personality, customer focus and enthusiasm for pop culture – we can’t wait to meet you! Please visit http://www.reedpop.com/About/Work-For-Us/Careers for our latest job opportunities. This job is advertised on behalf of MCM Comic Con using their internal reference HoCMCM19.